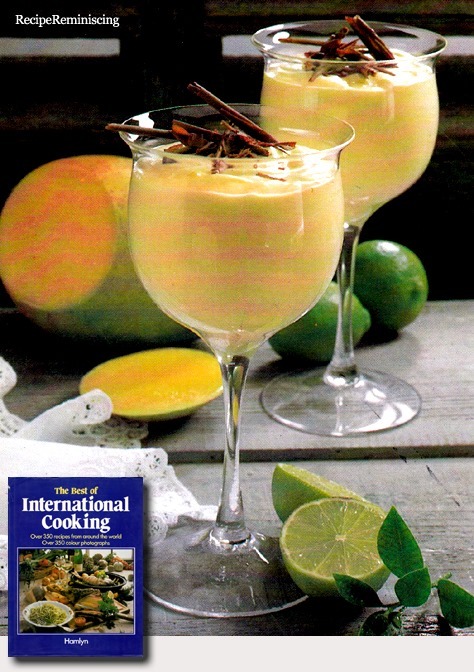 This little book does not contain separate recipes, but suggestions to whole meals. That is to say in this case, starter, main dish and desert. 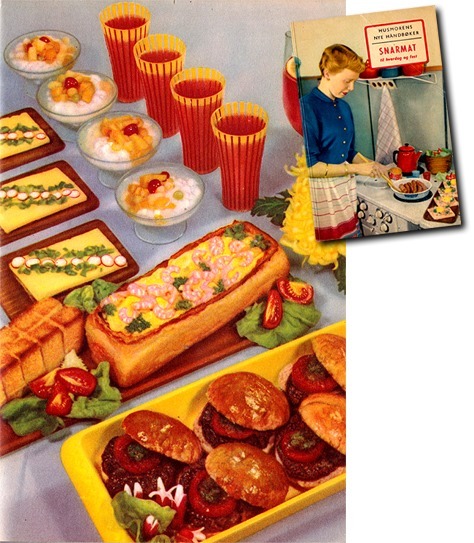 Recipes from the Norwegian cook book “Snarmat for hverdag og fest” (Fast food for everydays and parties) published in 1956. 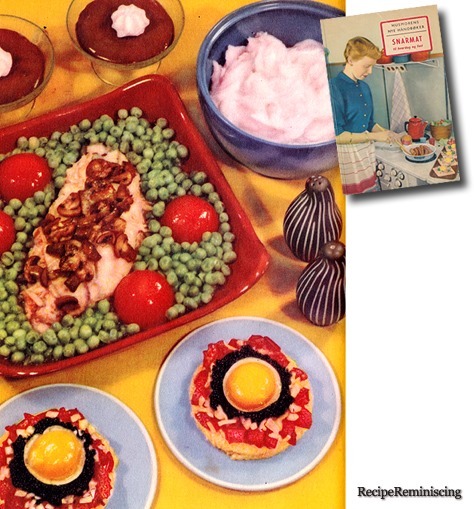 “Snarmat for hverdag og fest” is a cook book that both feature recipes like other cook books and ready made menus like the one pictured here all with a delightful fifties flavour both in dishes and images. The small book feature 8 such menus and the rest will follow later on.